Thanks @fun_master a.k.a. Marilyn LoRusso for the idea and the coordination! 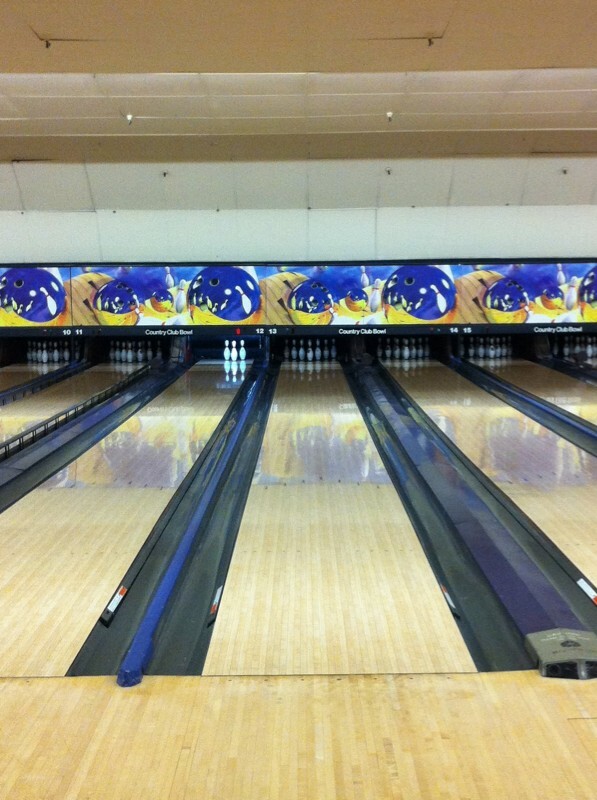 Meet at the Country Club bowling alley in San Rafael. We will have a few lanes reserved. 6 people per lane, per game. It's important that you RSVP so we know how many lanes to reserve. Contact @fun_master for more information. If you are coming but not planning on bowling, please note that in the comment section below. All are welcome! Bring the kids and bring lots of quarters, they have an arcade. A group of us may decide to head over to Picante after for a tasty Mexican meal. You're welcome to join us. Check http://sallyaroundthebay.com/marin-tweet-up/ for Marin TweetUp information. MWSL_net Hey this is Shelley Champine (aka @localmusicvibe) - I also tweet for the Marin Women's Soccer league - see you there! MarilynLoRusso HI ALL MARIN TWEEPS! PLEASE READ THIS POST BEFORE YOU ARRIVE ON SUNDAY! Please arrive at 3:30pm on Sunday and no later than 3:45pm. We need to have a count of people bowling and pay BEFORE they turn on the alleys for us. And you need to get shoes and pick out balls! Thanks so much and I am looking forward to seeing you all on Sunday! MerlinChauffeur Marty & I will be there to bowl. I left my sparkly purple bowling ball in Michigan a few decades ago so we’ll see how I do back in the lanes. We keep bowling games until it adds up to 300, right? NextMoon I have a dislocated ankle, so I won't be bowling, but I will definitely be in the cheering/celebration section! LarkspurPatch Tracy and I are really looking forward to some fun at the bowling alley. Remind me, the goal is to leave as many pins standing as possible, right? Sally_K I plan to be a cheerleader and maybe play a little Ms. Pacman in the arcade. My shoulder told me it would prefer that I don't bowl. Writer always. Want more people in the game. Founded BABS+directory, #kindlechat. Bohemian heart, speaker, artist, love dogs/boats/travel/creative reuse. Psychologist, Relationship Expert, Marriage Prep 101 Founder, Individual & Couples Therapist, Writer; Wife, Mom, Friend; Fitness & Wellness Enthusiast. Freelance editor and more, photographer, cat lover, movie lover (especially old ones), appreciator of great humor, nature lover. Exploring how language (gesture, music, speech, symbol, etc) can create a Self-Healing-Self-Nourishing World. We offer news, events and a complete business directory for the towns of Larkspur and Corte Madera in Marin County. Style, comfort, and coverage with Lynnina's boardshorts and coordinating tops in multiple colors, prints and styles! Mountain Bike Tours, Clinics and Corporate Team Building events. Marin Politics, living, events, activism, and non-profit advocacy. Sending out ripples of information, musings, and political change. Strategy by Design: I help design firm leaders envision what's next and create opportunities to achieve success on their own terms. I'm an eco-mom & own a green company that teaches kids to cook healthy & seasonal foods for their families and the needy. Cheerful secular humanist with a cynical misanthropic streak.